CMV Action are preparing for the Royal College of Midwives' National Conference which will take place in Harrogate on the 19th and 20th October. A CMV Action exhibition stand will enable us to talk to over 1,000 Midwives and student Midwives and if previous years are anything to go by, there will be a lot of interest for information and literature for Midwives to take back to the workplace. The two days are expected to be very busy but very productive and enjoyable. Another opportunity to network with health professionals takes place on the 14th November, when Caroline Star, our Chair of Trustees will be chairing the afternoon session of the Royal College of Obstetricians and Gynaecologists' training day "An Update in Infections During Pregnancy". CMV Action will also have an exhibition stand at the event, giving further opportunities to discuss CMV and the work of our organisation with those attending. We were delighted to have been awarded a Big Lottery Fund Grant to help us disseminate information to health professionals through face-to-face interaction and as a result are working on an enhanced conference programme for 2017, identifying a range of conferences around the UK that will provide a good platform for us to engage with Midwives, associated health professionals, Mums and Mums-to-be. We'll let you have more information on these in the next edition. We are very grateful to the Big Lottery Fund for making this possible. 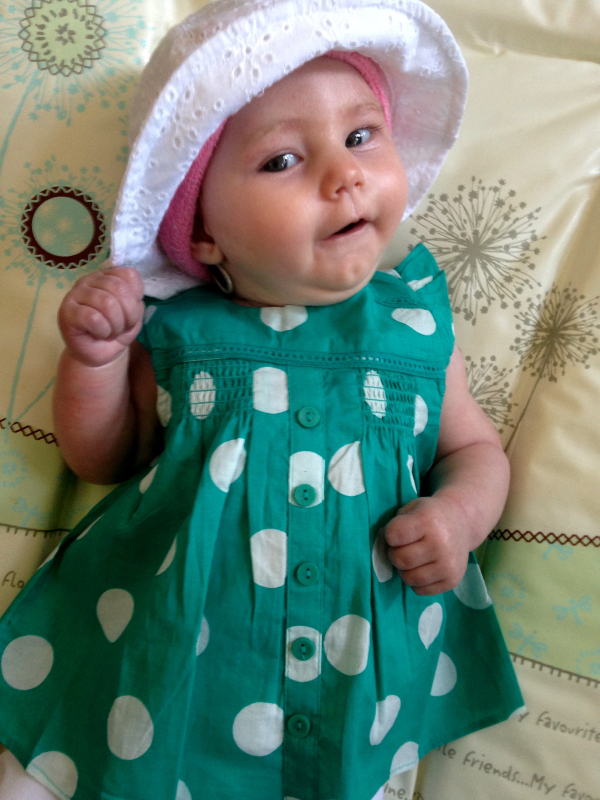 It is a huge acknowledgement not only of our work and dedication but also that the need to get information and advice about ways to try and reduce the risk of CMV is urgently needed. Awareness month 2016 started with our second CMV Day hosted by AVUK in London on 9th June. The room was full with a mixed group of professionals and three families. Trustees Jan and Sarah Dewar talked about their own CMV experiences and explained the work that CMV Action are involved in. Dr Simone Walter gave an informative medical perspective and after lunch we heard how AVUK worked with children affected by CMV. We finished the day by introducing our CMV game designed to raise awareness with midwives and other professionals. 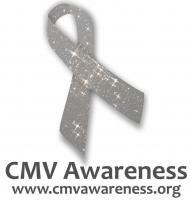 Most professionals and parents were able to answer the questions so the day had raised their awareness of CMV. The feedback was excellent with many commenting on the range of speakers and the benefits of having families there. Thanks to AVUK for their support on the day. The Prudential Ride London-Surrey 100 riders : Matthew Brown, Craig Campbell, James Colvin, Jade & Jordan Croker, Chris Foster (our very own Kat Foster's husband, riding for the 2nd time), Angus Fullerton, Dan Humphreys, Steven Hussey, Jim Mason & Steve Thomson. The Great North Runners: Debbie & Stewart Balmer, Michael Bennett, Alex Brown, Laura Brudenell, our very own Liz Estall, Julie McGarry, Jo Middleton & Matt Willey, Steve Henry and Phil Burnett. Our community fundraisers: Jade Litten, Sam Litten, Gary Conroy, Jim Elkin, James McKenna, Dr Mitra Memarzia & Gary Danks, Ellie Dewar running her first 10km with her brother and dad, Wayne Baxter, Lauran Alexander, Christian Wulff, The Team at Miss Walsh Daily, Carlie Johnson, Seth Dobson, Neil Davies, M. Fox, Stuart Hunter & Kathryn Kitts, Fiona Patterson, Kay Pearce, Wayne Baxter, Claire Conry, Jade Tinkler, Simon Davis & Jonathan Seymour, and Michelle Dodd and her family and the residents of Waterford Court. We hope we haven't forgotten anyone - there are now so many of you wonderful people raising much needed funds for us - but please know that we appreciate every penny and they will all be put to good use. Thank you again! We filled our places on the Great North Run this year, but we have another 5 places for next year, and places on the Great Manchester Run, Great South Run and the Great Newham Run. Thank you to all that ran for us this year, and if you would like to run next year please get in touch. "It's with mixed feelings that I must take a leave of absence from CMV Action. I became a trustee and Head of Fundraising in 2012 after organising a ball to help raise money for the charity. My son, Noah, was diagnosed with a CMV infection at 4 weeks old and the lack of knowledge bothered me. I, like many of you, wanted to do something. In the 4+ years I have been with CMV Action, we have gone from strength to strength - a registered charity, with regular fundraisers, a relationship with the Royal College of Midwives, robust information that can be used by the public and medical professionals, and even a board game! We have acheived so much - we're finally getting CMV on the agenda and I'm incredibly proud to have worked with the other trustees to achieve that. I leave, to focus on my own family for a little, knowing that the team's ambitious plans will increase awareness of CMV where it really counts and that our wonderful fundraisers will continue to make those plans a reality. I want to thank all the wonderful trustees and volunteers who give their precious time to CMV Action and a personal thank you from me to all the people who have fundraised for us in the time I have been here. We couldn't do it without you and I am really touched by how much we have raised in the last 4 years. Thank you!" We can put families in touch with each other if they have similar issues or are in the same locality.